At Venice airport we had a long walk to the water buses where we soon boarded one that meandered its way to St Mark’s square and by about 2 pm we were unpacking in our centrally placed but frankly small bedroom. I learned to love this room though as it was very warm and cosy and to be honest I feel that any city break demands a centrally placed hotel and tin truth it doesn’t get more central than the Tre Rose! Simply put we love Venice and our stay was made even better by having no rain, though it was cold. We loved the Carnevale atmosphere, the food, the restaurants and cafes and the shops. A jumper, a pen and leather gloves for me and a bracelet and handbag for Valentine’s Day for Peanut were our shop treats. We covered the culture bit by pre-booking the Secret Itineraries tour of the Doges Palace, which we enjoyed and learned a lot about the way Venice was run back in its glory days before Napoleon marched in. We also did the Peggy Guggenheim Museum of modern art which was well worth a visit. Peggy was Jackson Pollock’s sponsor and so there was a special feature on his work on show. Personally I am not a fan of his work, I could write a simple poem about the work of Pollock to express my opinion, but hey I am certainly no art expert. Dali was on show too, specifically his Birth of Liquid Desires. This is much more up my street and if I am honest I think I like Dali because his works are couched in a conventional framework. What I mean is that there are clearly identifiable elements in his paintings and this allows me to see that he can clearly paint in a conventional way if he chooses to. His credentials thus proved I find it much easier to appreciate the manifestations of his incredible mind that he creates on canvas. Another interesting visit was when we wandered into a display of modern art in a grand old library. Old met new and in one of the pictures below you see the marvelous juxtaposition of a Dr Who like alien ship in the middle of a grand old library room. So all in all a great trip finished off with some high drama as we realised just as we reached the airport on the water bus that we had left our passports in our hotel room in Venice. A dash to St Mark’s Square and back in a high speed water taxi saw us lighter in pocket by £140 but at least we got to do the James Bond bit and we did make our plane home – Just! Yep we just love Venice. 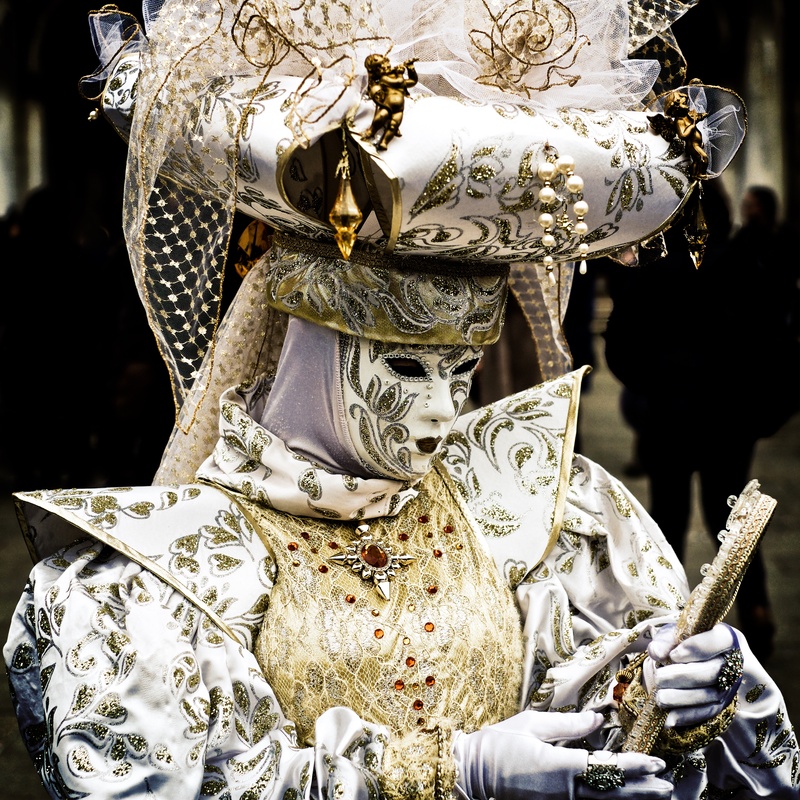 Here are some of our photos as we bumbled around a very vibrant and exciting Venice full of Carnevale atmosphere and in the next blog we will show our pictures of The Carnevale participants all dressed up and ready to promenade. you have the best trips!